incentive to open their doors to commerce? Empty storefronts in Oakland, Richmond, Berkeley, San Leandro, Hayward and others, currently lie fallow even as the economy begins to percolates. But, the resurgence has been excruciatingly slow. All of the cities mentioned are beginning to see new small businesses sprout again, but more could be done, especially for properties owned by landlords who have learned having storefronts empty at this time pencils out to smaller losses than the risk of a new businesses opening its doors. Case in point, Hayward’s downtown could sometimes act as a sound stage for the television show, The Walking Dead. Foot traffic is low and many storefronts are abandoned and the ones in business fail to capture the imagination of residents and out-of-towners. The notion Hayward can’t attract new businesses based on the merits of the city may not be entirely true. Last year, Hayward Mayor Michael Sweeney specifically called out some property owners, many he said, who live in Hayward, for purposely leaving their properties empty in hopes of better rental deals in the future. 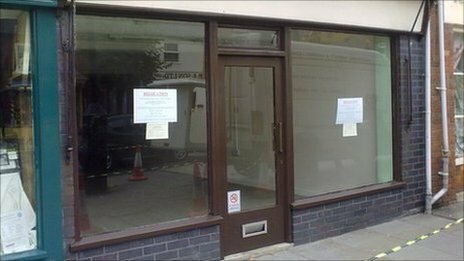 Maybe Hayward could be the place to foster some sort of vacancy tax on empty storefronts? They wouldn’t be alone. A staffer from another East Bay city said recently they may offer their city council a similar vacancy tax in the near future. Although the Hayward City Council is now notorious around East Bay political circles for their Draconian wage cut imposition against city workers, a vastly more progressive assault on greedy property owners would certainly garner appreciation from the 99 percent. Additionally, with less than two months before Hayward elects a new mayor, the four candidates, three of whom sit on the City Council, have yet to prescribe any new ideas for putting the city back on track. Generally, the topics of conversation have been about how projects, long discussed and already built, have ruined Hayward. The Loop and the Russell City Energy Center are monuments to Hayward’s myopic past. Yet, almost nobody is talking about how Hayward can rise from the ashes. Hayward City Council candidate Rocky Fernandez, in fact, is talking about forward-thinking ideas like no other candidate in recent memory. His youthful outlook on the future includes using some of the empty storefronts as incubators for the new businesses and technologies of the future. If something like a vacancy tax could unlock some of those properties, the next Twitter, Facebook or some type of gadget or services we can’t even fathom today might grow there. SOUND OF SILENCE San Francisco Chronicle reporters Carla Marinucci and Debra Saunders were at last Tuesday’s CA-15 forum in Castro Valley, featuring Rep. Eric Swalwell, State Senate Majority Leader Ellen Corbett and Republican Hugh Bussell. The Bay Area News Group’s Josh Richman was there, too. So, why was I the only reporter who caught Swalwell in a lie when he obfuscated about his record on digital privacy rights? The silence from the local conservative media outlets was never more noticeable. Richman wrote a perfunctory rundown of the hour-long forum and Marinucci has been silent. Saunders, however, wrote a column attempting to link Corbett by association to her troubled State Senate colleagues, Leland Yee, Ron Calderon and Rod Wright. The argument doesn’t hold water. In fact, Saunders wasn’t trying very hard to implicate Corbett, which, in a practical sense, says she really had nothing to write about this week. Furthermore, the corporate media’s fascination with Swalwell is no longer a conspiracy theory. Not on board yet? Here’s some homework: cobble together every article written by this trio and you won’t find a single negative sentence about Swalwell. Dig deeper and you will find numerous occasions where they needlessly covered for him. Ask yourself? What benefit do these corporations receive from having Swalwell in Washington? HERE AND THERE Expect to see Corbett more forcefully attack Swalwell for flip-flopping on government spying at future forums. Just ask me, Swalwell does not react to pressure in a courageous fashion, preferring flight to fight…During this week’s CA-15 forum, Swalwell quipped about his parents both being Republicans. Odd, since in the past, he claimed his mother was a Democrat and his father was a Republican…Does Ro Khanna’s campaign know most Christians will be spending this Sunday celebrating Easter with their families? 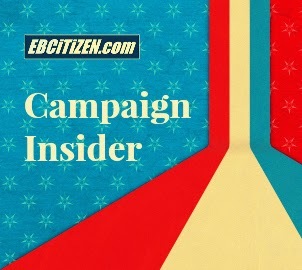 Then why the email asking supporters to join him on the campaign trail on that day?…Among all California Democrats seeking a seat in Congress, Khanna’s $1.9 million in cash on hand is tops…California conservative sugar daddy Charles Munger, Jr. contributed $100,000 this week to the Santa Clara Republican Party. Might some of this cash be allocated to help CA-17 candidate Vanila Singh? 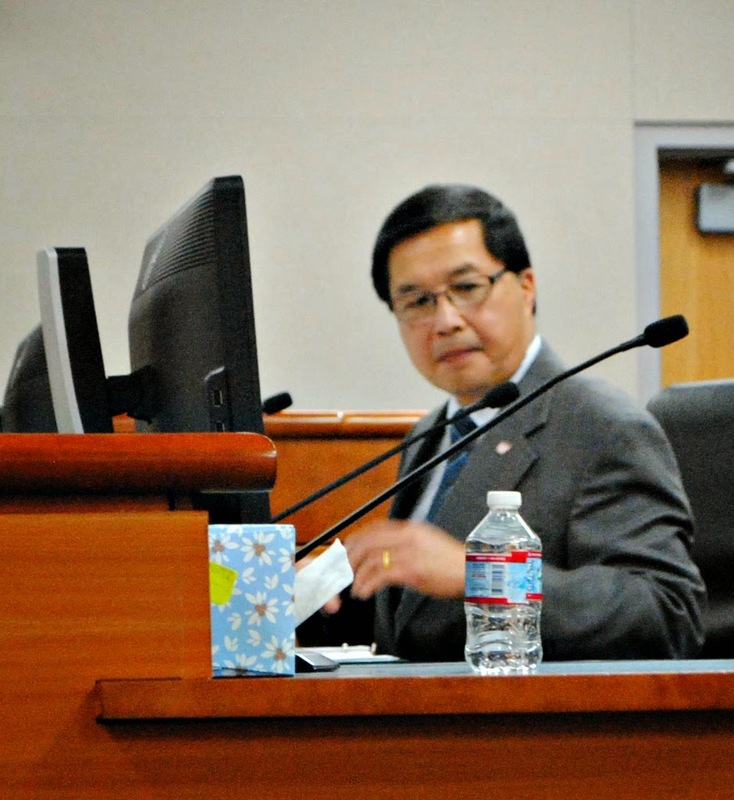 Maybe Peter Kuo, to a lesser extent?…Last weekend, members of the Alameda County Democratic Central Committee asked superintendent of schools candidate Karen Monroe, also currently an employee of the Alameda County Office of Education, if another of their employees is her boyfriend and whether he got the job on her behalf, despite disputed credentials. Monroe basically said, he’s not my man. Furthermore, is that even a fair question to publicly ask her? ONE MORE THING A few weeks ago, I wrote about the relative value of some candidate’s forums in the East Bay, while questioning why the more familiar debate setup is never used in these parts. The League of Women Voters and Asian Pacific Islander American Public Affairs Association (APAPA) listened and made some tweaks to their formats. The two pre-eminent groups offering candidate’s forums did not make radical changes, but giving candidates the opportunity to question each other directly or to further expand on a subject has already made the first few events more useful to voters. One group may even employ more radical changes during the general election when some races have been whittled down to two candidates. Nevertheless, one of the points I was trying to make is candidates need to have the ability to control their own destiny in these face-to-face match ups. If they don’t wish to seize the moment, then that’s their problem. And we’ve seen this happen twice—during the Hayward mayoral and city council forum and this week’s CA-15 forum—when each candidate chose a much more conservative battle plan. Nevertheless, the small changes have been a welcome addition. Posted in APAPA, Bob Wieckowski, candidate forum, Downtown Hayward, Ellen Corbett, Eric Swalwell, Karen Monroe, landlords, LWV, Michael Sweeney, Peter Kuo, Ro Khanna, Rocky Fernandez, vacancy tax. Bookmark the permalink. This is Communism 101. Karl Marx wrote it over 170 years ago. Only morons think otherwise. Only in Hayward would such an idea be floated. All sorts of disincentives to not do business in Hayward then punish the property owner for not leasing property for less than market. Perhaps the city could pay the owner the difference. The countdown to Sweeney's departure begins. Hallelujah! !